He is a beloved figure in his home of Latvia, a country that never sleeps when Olympic-bound NHLer Zemgus Girgensons is playing the game. Holding the distinction of being the highest drafted Latvian in NHL history (14th overall in 2012), the 20-year-old kid from Riga is a household name in his native land, especially in his hometown of Riga. And despite games airing at 2 or 3 in the morning local time, thousands of loyal Latvians gather around their televisions to watch Girgensons, in his rookie campaign with the Buffalo Sabres, take on the top players on the planet. The country of just over 2-million people, bordered by Estonia, Lithuania, Russia, and Belarus, will no doubt be tuning in to watch Girgensons and his teammates compete in Sochi. 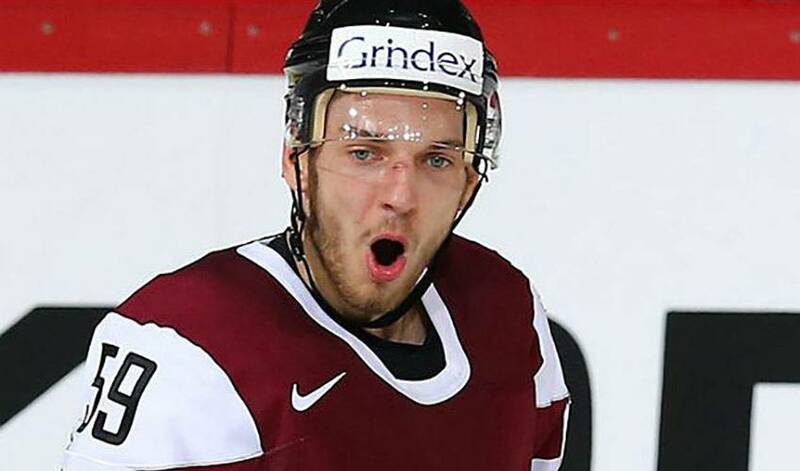 Ranked 11th in the world, the Latvians played in Group C, against Switzerland, Czech Republic and Sweden. Girgensons, who made his national team debut in the 2013 World Championships against the U.S., and scored his first international goal against Slovakia, has been lauded for his work ethic. Ted Nolan, head coach of the Sabres, compared his preparation to the legendary Wayne Gretzky. Girgensons, dubbed by one media member ‘The Latvian Locomotive’ for his penchant of skating through the opposition rather than around them, covets his hockey fortune. He’s appreciative of praise, but motivated to achieve more. Now, he’ll have a chance to show the world what he’s all about on a global stage.